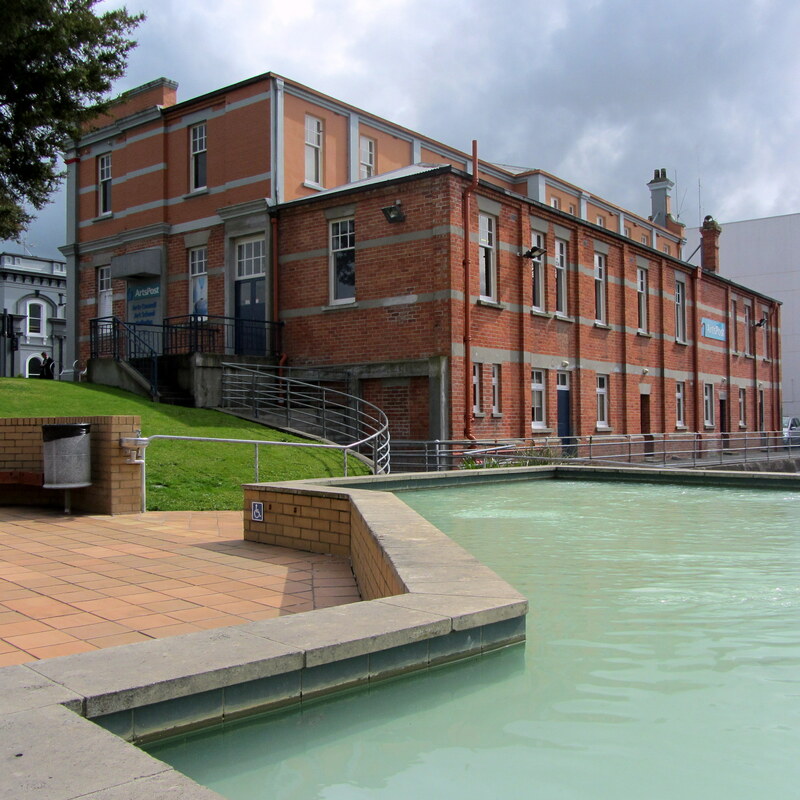 Taupo Museum is located on Story Place between the Domain and the Rose Gardens. It is open daily, except for Good Friday and Christmas Day, from 10am to 4.30pm. Adults are $5 and seniors and tertiary students are $3. Entry is free for children, Taupo residents and ratepayers. 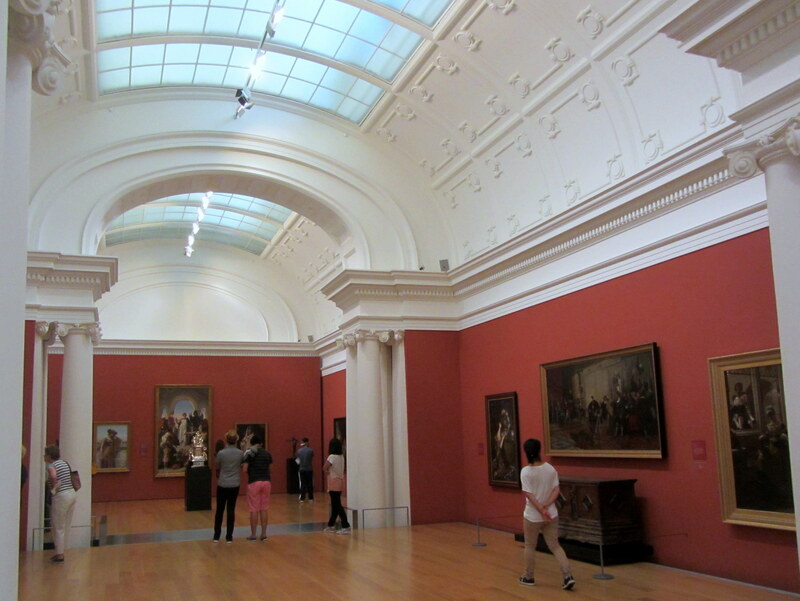 When you enter the museum to the right are two art gallery rooms, the Main Art Gallery and the Niven Room, which have changing exhibitions. 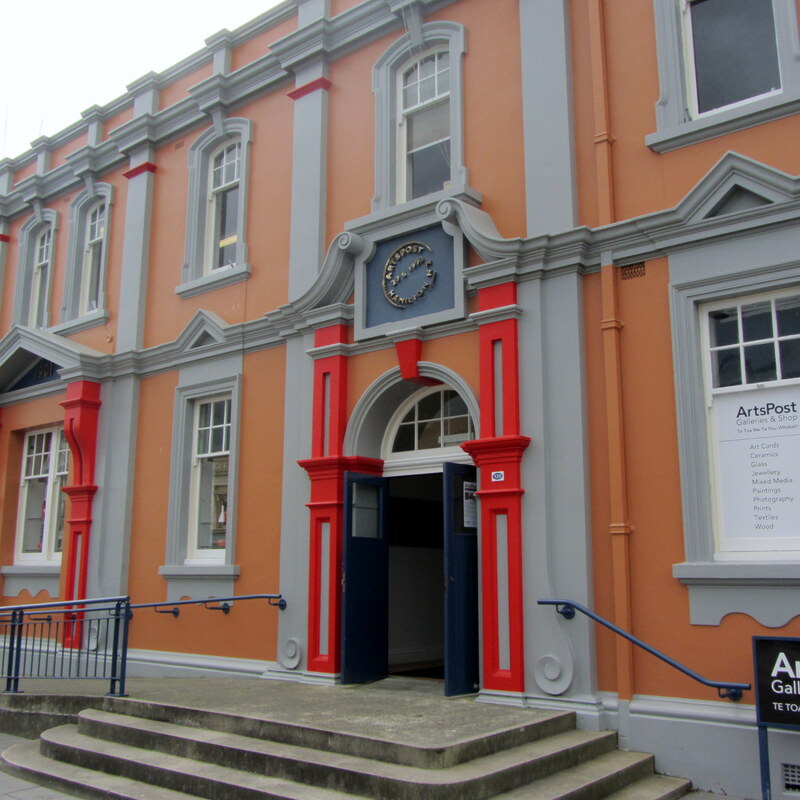 When I visited in December the Main Art Gallery was exhibiting work from senior students from Wanganui Glass School, and the Niven Room had a photography exhibition featuring the works of Peter Beazley, Adam Wallis, Jeremy Bright and Steve Sherburn. 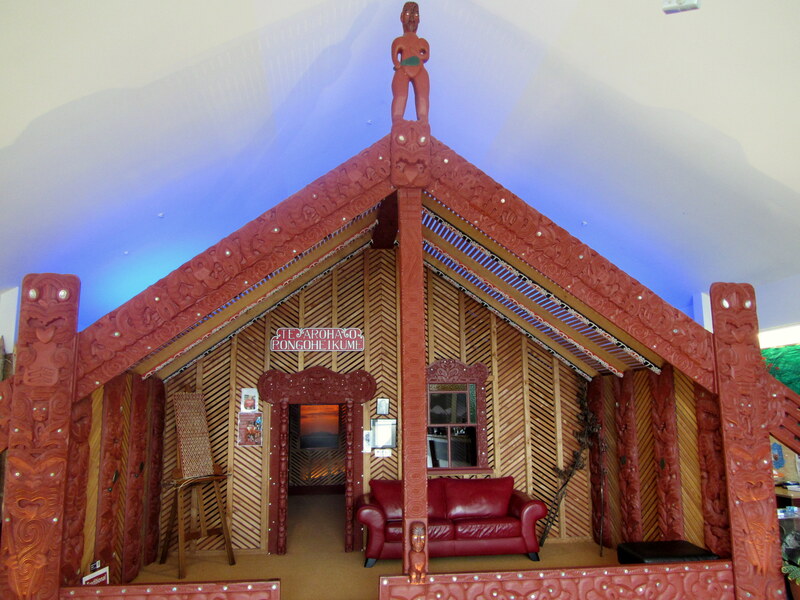 In the foyer welcoming visitors to the museum is a wharenui, a traditional Māori meeting house. The meeting house is name Te Aroha o Rongoheikume, which means the love of Lucy Reid. 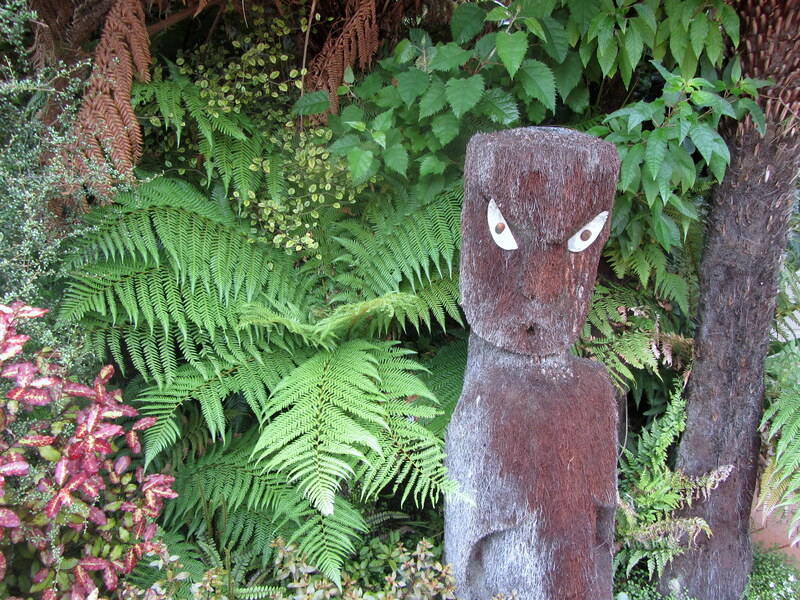 The meeting house was carved by Tene Waitere between 1927 and 1928. 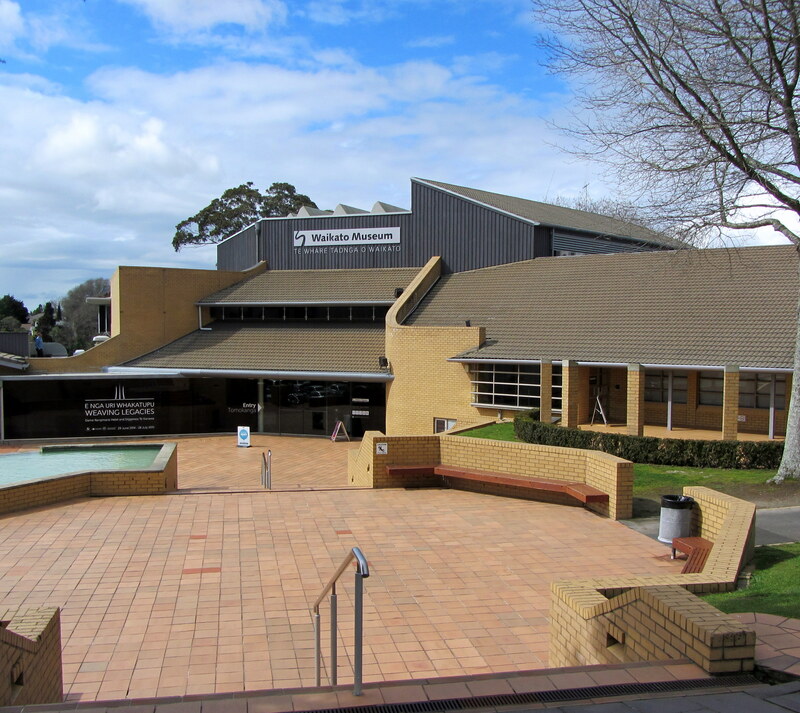 After visiting the meeting house follow the museum around to the right to see a series of exhibitions on the Taupo area including displays on timber mills, trout fishing, and Taupo’s volcanic area. 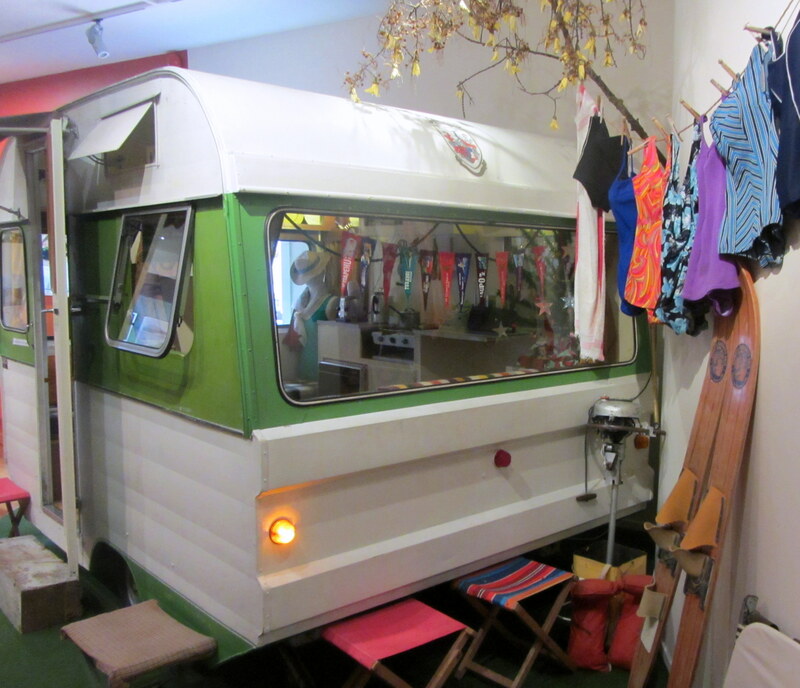 Visitors can climb inside a New Zealand made Anglo Imp caravan, which has been decorated like a holiday caravan from the late 1950s and early 1960s. The Busy Corner Store screens a 10 minute short film about the Taupo District and its history. In the Tuwharetoa Gallery is a 14 metre long waka made from a Kauri log. 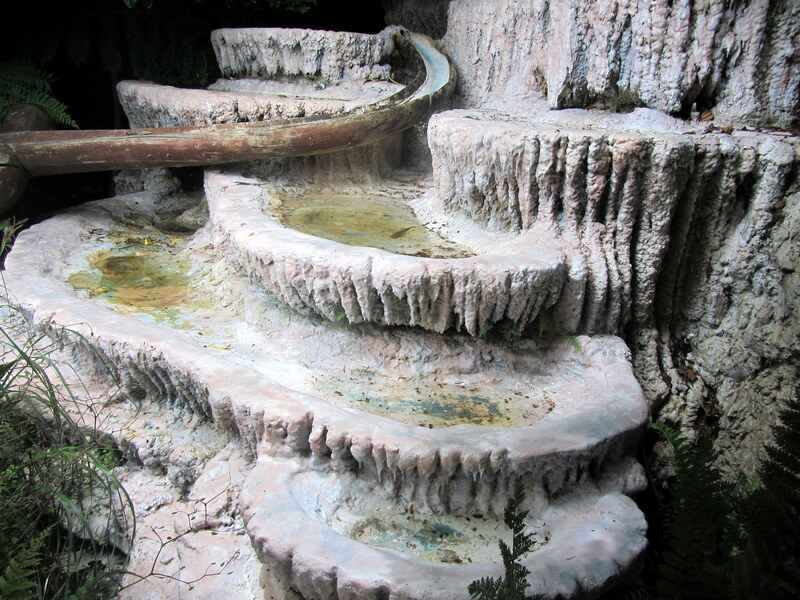 It was found in 1967 in a bush in Opepe and is believed to be around 150 years old. Outside in the courtyard is the 100% Pure New Zealand Ora – Garden of Wellbeing, which won a gold medal at 2004 Chelsea Flower Show. 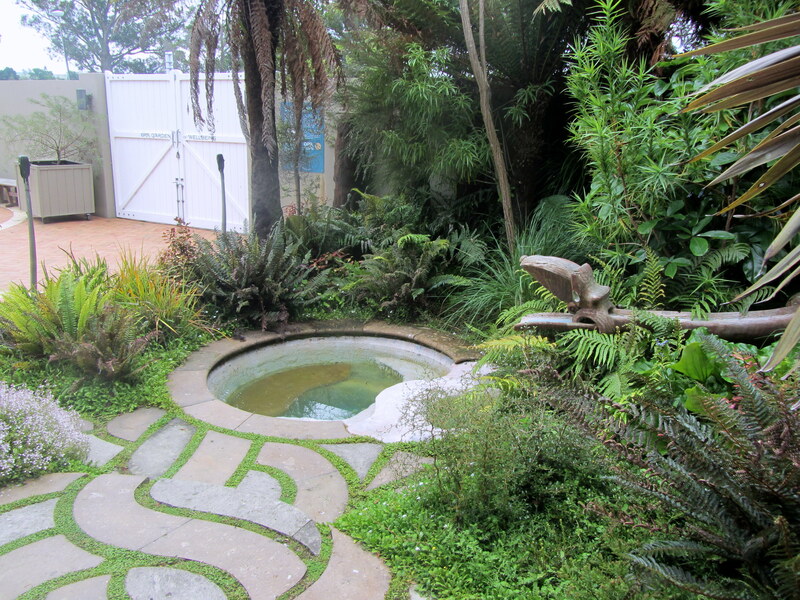 The garden opened at Museum Spring 2007 and the following year was accorded Garden of National Significance status. The Museum of New Zealand Te Papa Tongarewa is the national museum of New Zealand, located on Cable Street on Wellington’s waterfront. 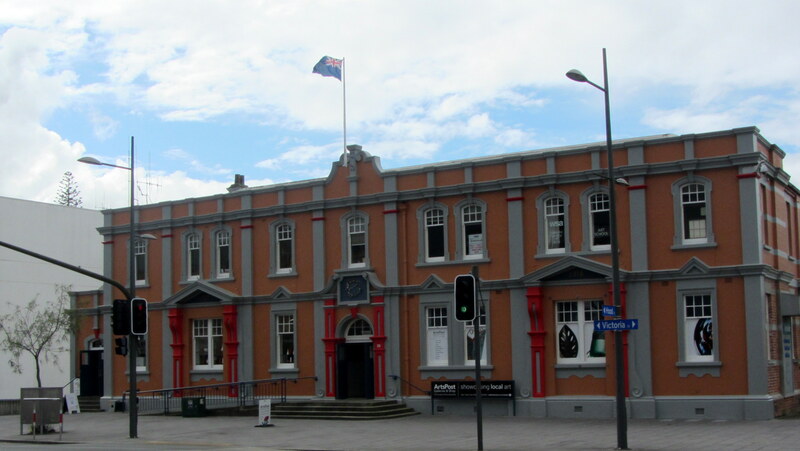 The Museum was established in 1992 by the Museum of New Zealand Te Papa Tongarewa Act 1992. 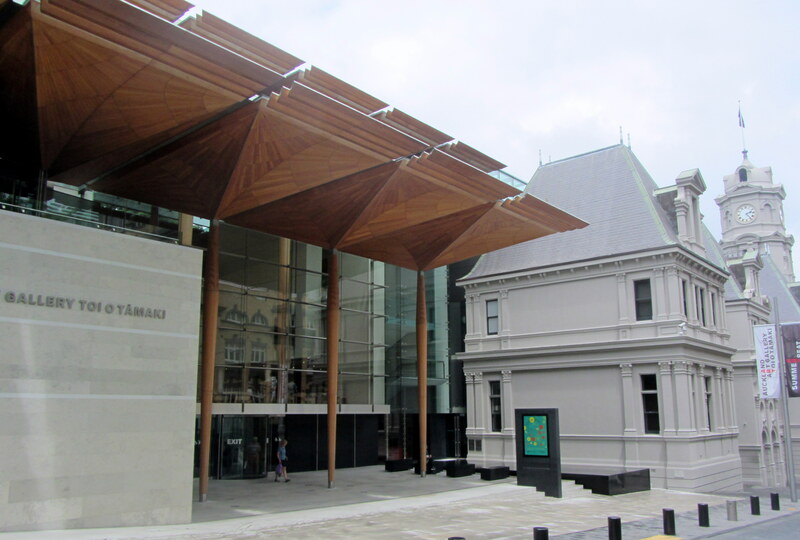 Te Papa had its official opening on 14 February 1998. Te Papa is open every day from 10am till 6pm, and until 9pm on Thursdays. 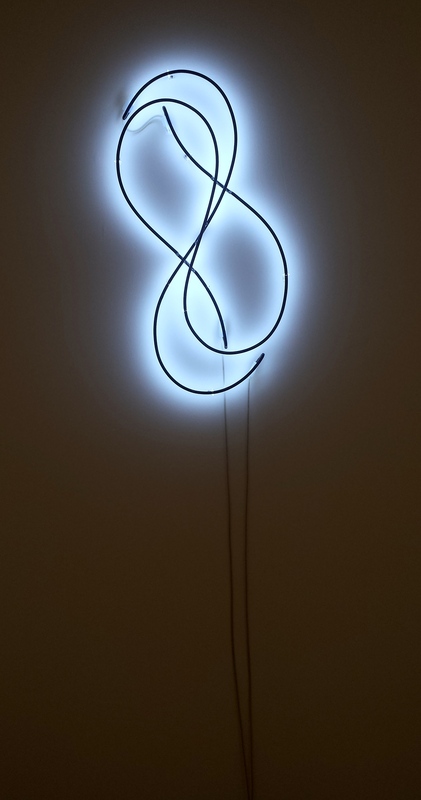 Entry is free but there may be charges for special exhibitions and activities. For information on parking please check their website. 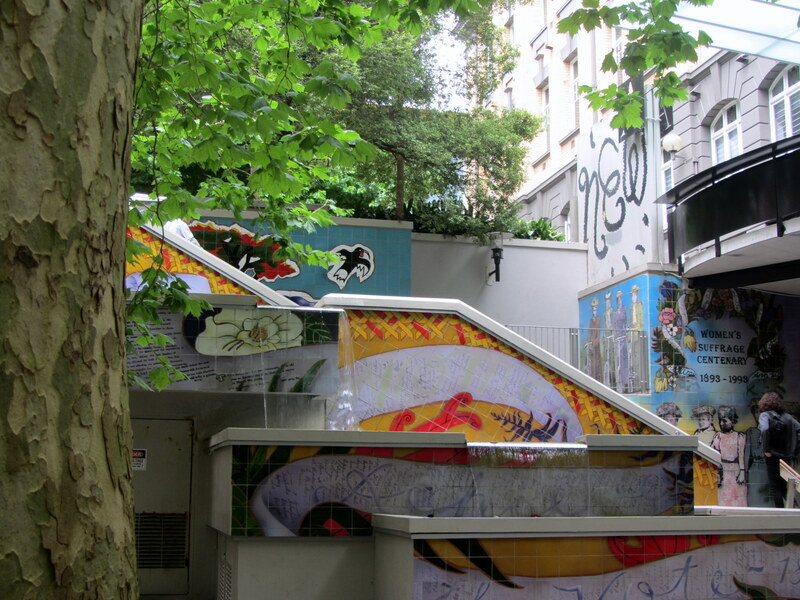 The museum covers six floors of interactive exhibits. The Awesome Forces exhibition on level 2 explores New Zealand’s geological history showing how our landscape has been shaped by erosion, volcanic eruptions and earthquakes. 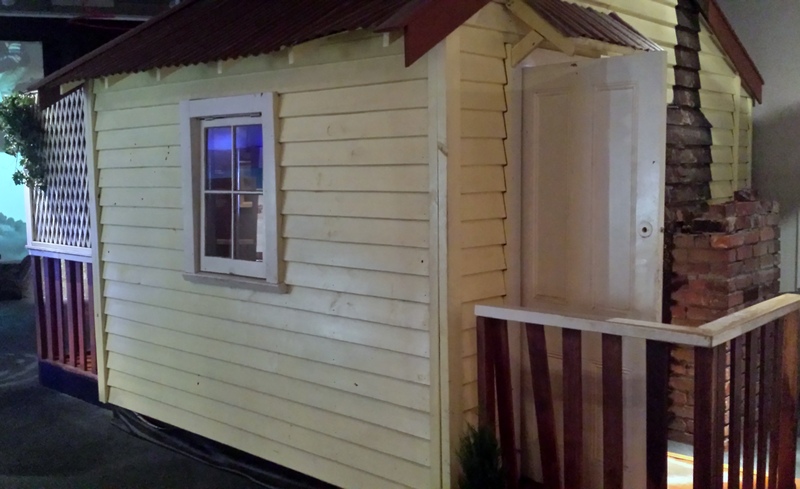 A highlight is an interactive shake house where visitors can experience an earthquake. Visitors can experience a stimulated earthquake in the shake house. Also on level 2 is the Mountain to Sea exhibition where on display are over 2500 animals and plants. On display in 6 metre long case is a 495 kilogram squid. Visitors can experience the squid’s underwater habitat in a 3D show. The theme of our powerful landscape is continued on level 3 in the exhibition Blood Earth Fire, which explores our ever changing landscape. A short documentary film Our Place screens, in which people show the place that is most important to them. Those wishing to learn about Māori history can head to the Mana Whenua, Te Marae, Whiti Te Rā! The Story of Ngāti Toa Rangatira (local iwi Tribe of Wellington), and Signs of a Nation (Treaty of Waitangi) exhibitions on level 4. In the Passports exhibition guests can explore the stories of some the communities that migrated to New Zealand. 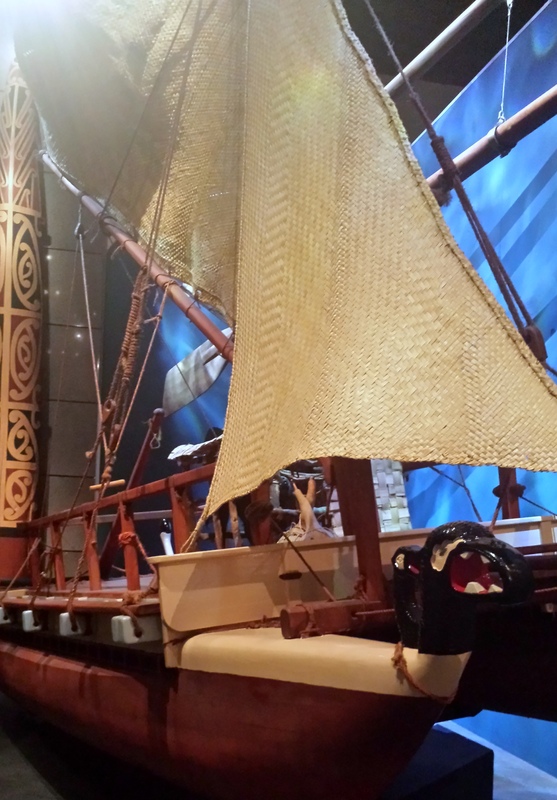 Tangata o le Moana: The story of Pacific people in New Zealand explores the people from the Pacific Islands that came to call New Zealand home. Also on level 4 visitors can learn more about New Zealand in the 20th century with the Slice of Heaven exhibition. 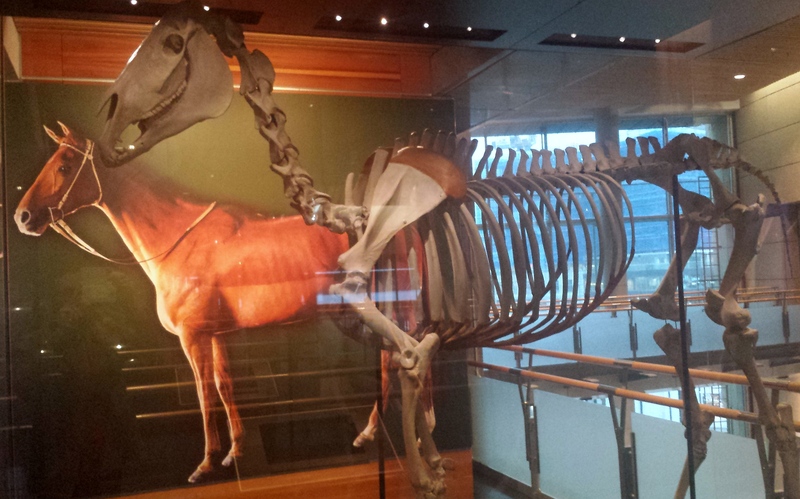 A highlight on display is the skeleton of celebrated race horse Phar Lap (1926 – 1939). While Te Papa has his bones, The National Museum of Australia in Canberra has his heart and the Museum of Victoria in Melbourne has his hide mounted on a model. 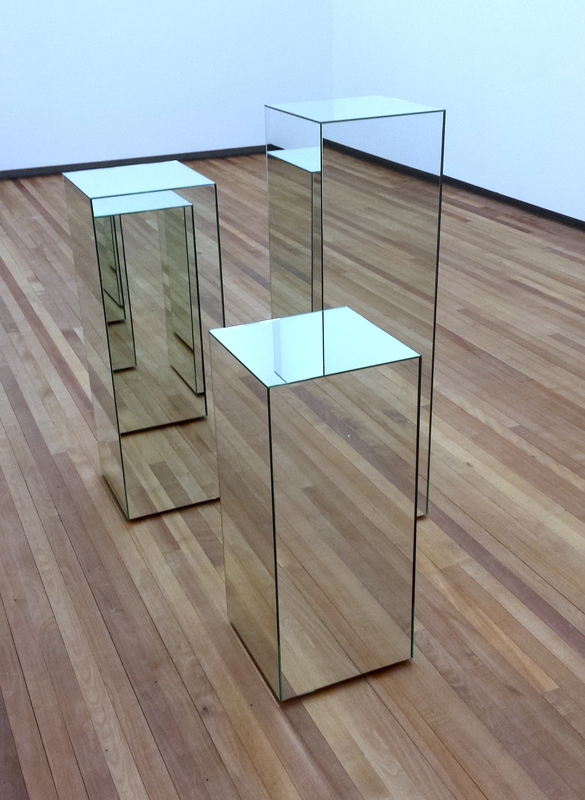 The national art collection of Te Papa is housed on levels 5 and 6. 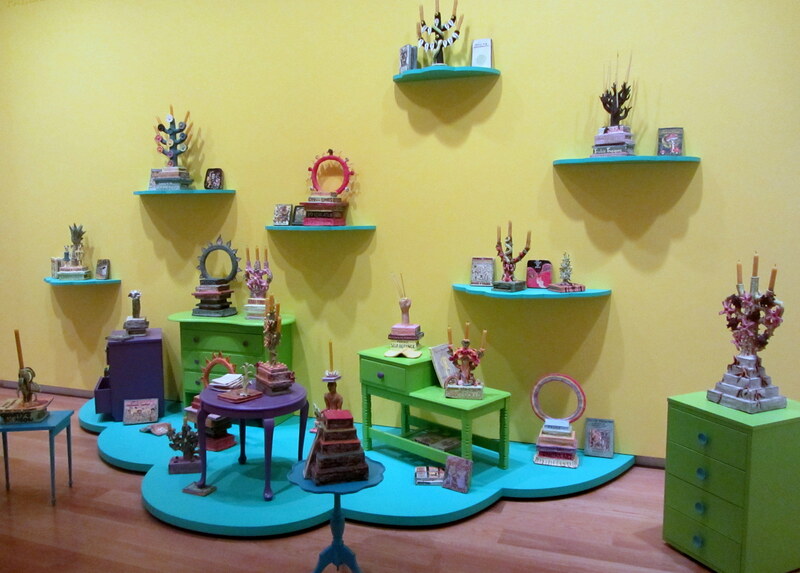 The galleries are constantly being updated and changed so there is always new works on display to see. There is also an interactive art studio space on level 5 for budding artists. There are also two cafes onsite, the Te Papa Cafe on the ground floor, which is open from 9am to 5pm and Level 4 Expresso, which is open 10am to 5:30pm, with a late closing of 8:30pm on Thursday. For shopping there are two stores the Te Papa Store on level 1 and the Te Papa Kids’ Store on level 2. 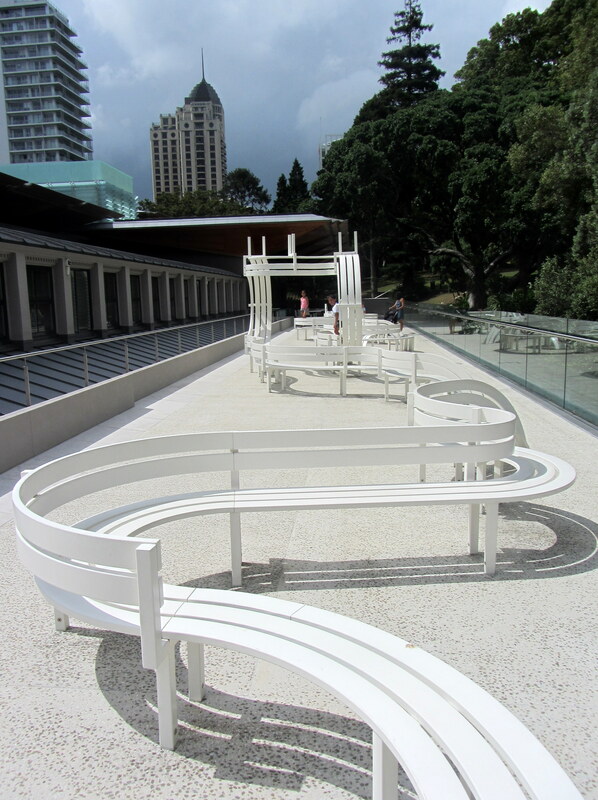 The City Gallery Wellington is an art gallery located in Wellington’s Civic Square. The Civic Square is a yellow terracotta brick square that is linked to Wellington’s waterfront by the City-to-Sea pedestrian bridge. 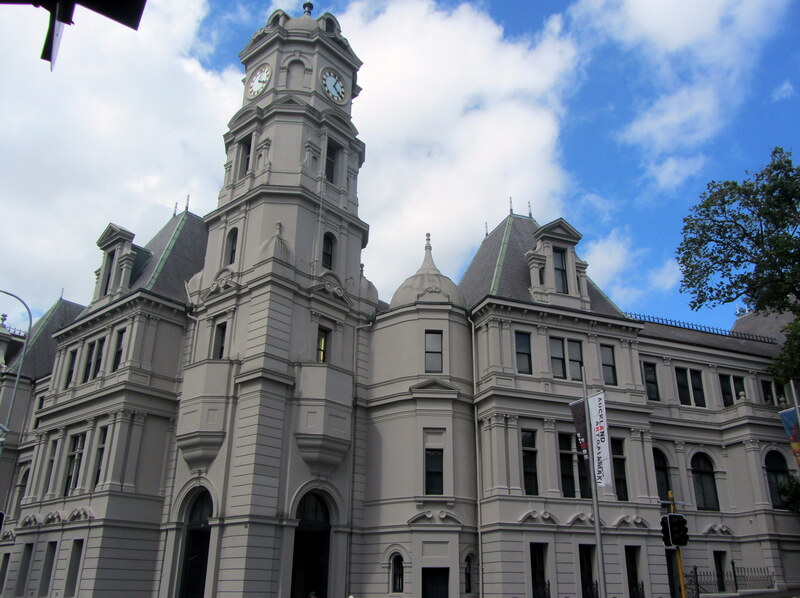 The square is surrounded by four Civic buildings – the Michael Fowler Centre, the Wellington Town Hall, the Central Library and the City Gallery. The City Gallery was established in 1980. 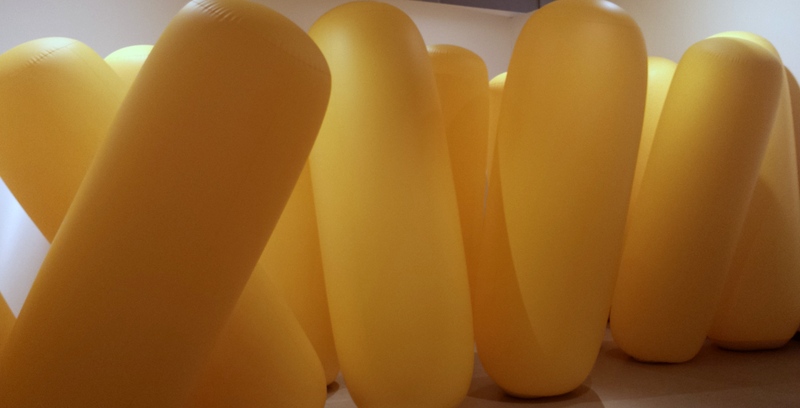 This year the City Gallery celebrates 21 years in Civic Square. 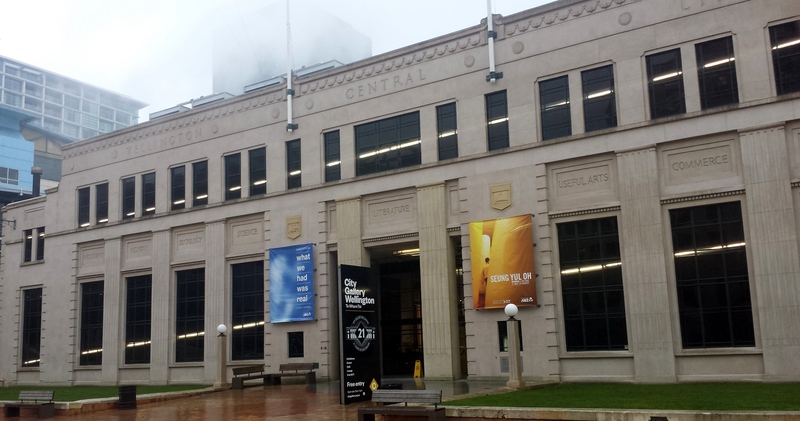 In 1993, the City Gallery moved into its current premises, the old Wellington Central Library Building. The Central Library Building, which was built in Art Deco style, was constructed between 1935 and 1940. The Central Library moved to its current site on the edge of Civic Square on Victoria and Mercer Streets in 1991. 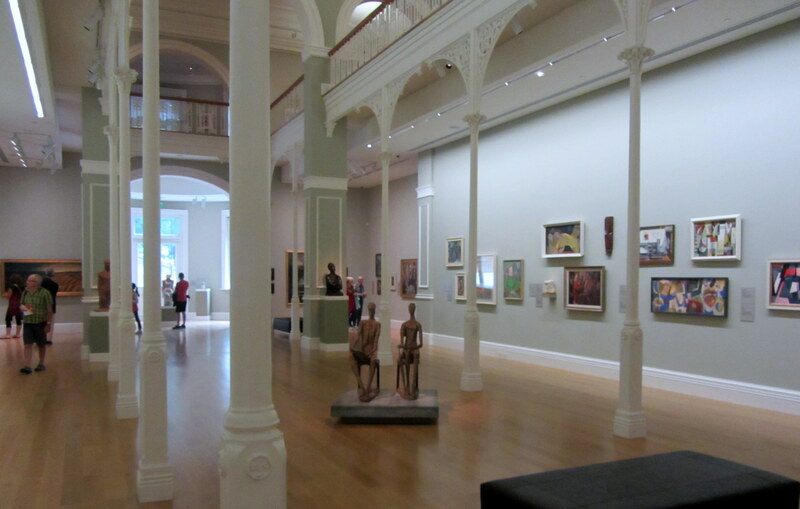 The City Gallery open every day from 10am till 5pm, except for Christmas Day. And of course entry is FREE. What is fantastic about the City Gallery is because it is does not have a permanent collection its exhibition programme is ever changing. I visited last year in September and again last month. 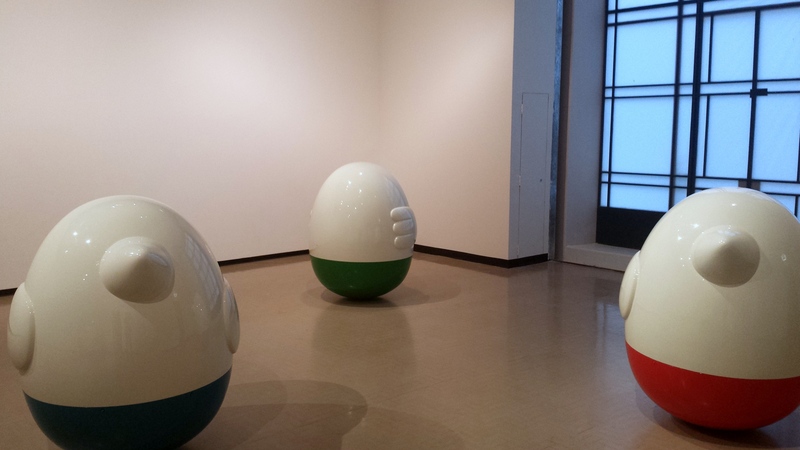 As I write this, new exhibitions have already opened this month.